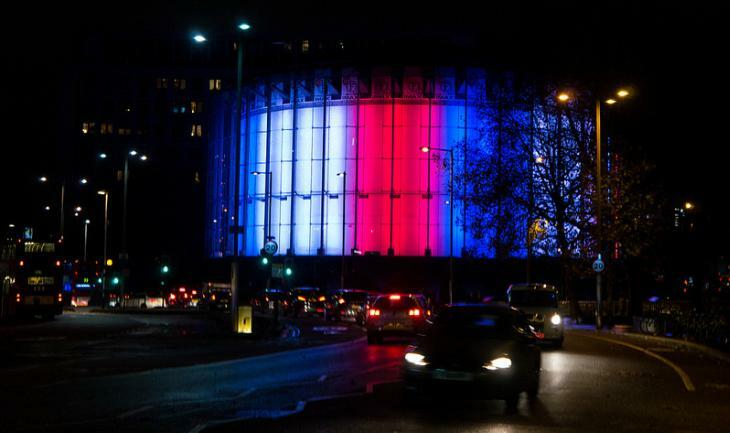 London's landmarks turned the colours of the French flag on Saturday, expressing solidarity after the attacks in Paris. The IMAX in Waterloo turned its outer shell bleu, blanc, rouge. Photo by cocabeenslinky from the Londonist Flickr pool. 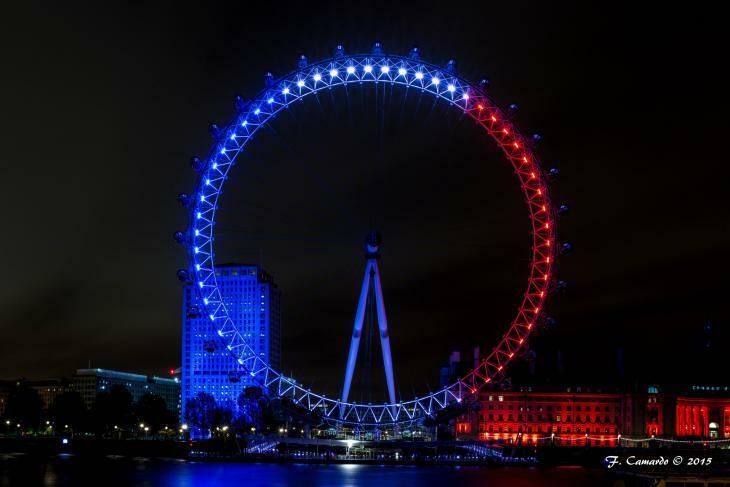 Francesco Camardo was on the river to capture the London Eye's tribute. 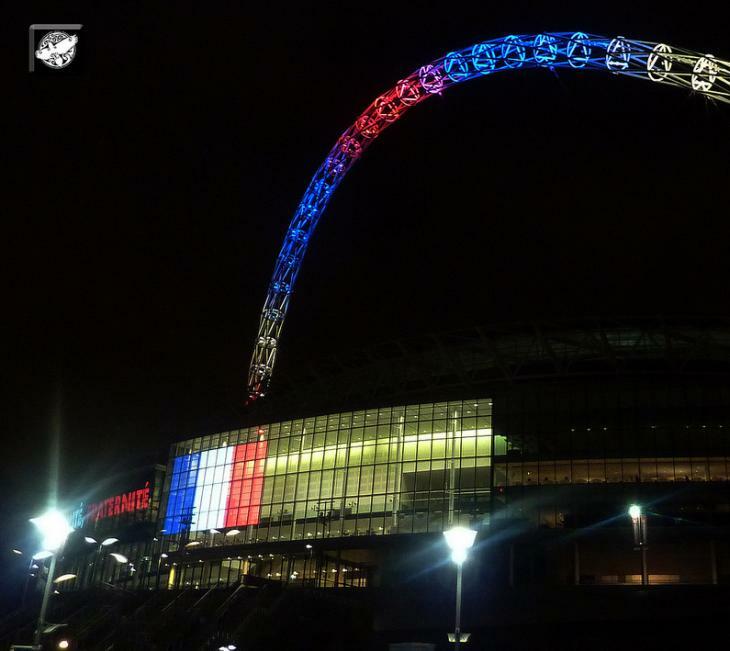 After the explosions at the Stade de France, Wembley Stadium lights up its arch. Photo by Gábor Hernádi from the Londonist Flickr pool. 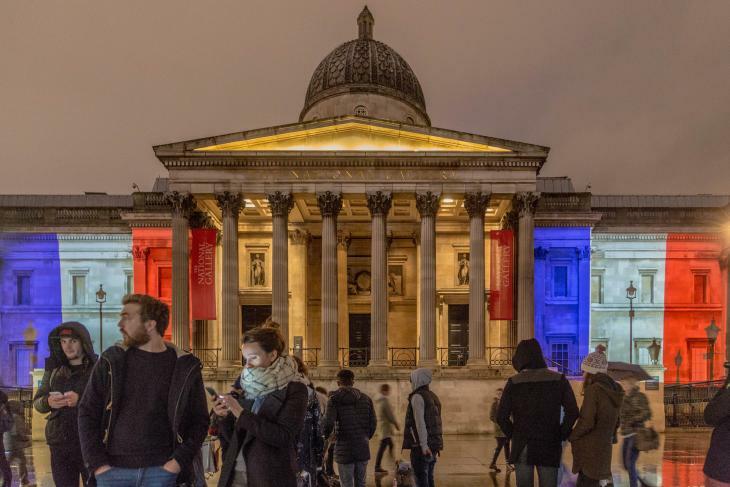 People attending the vigil in Trafalgar Square, where the National Gallery changed colour. Photo by Jack Gordon from the Londonist Flickr pool.